Another test! Whoop! 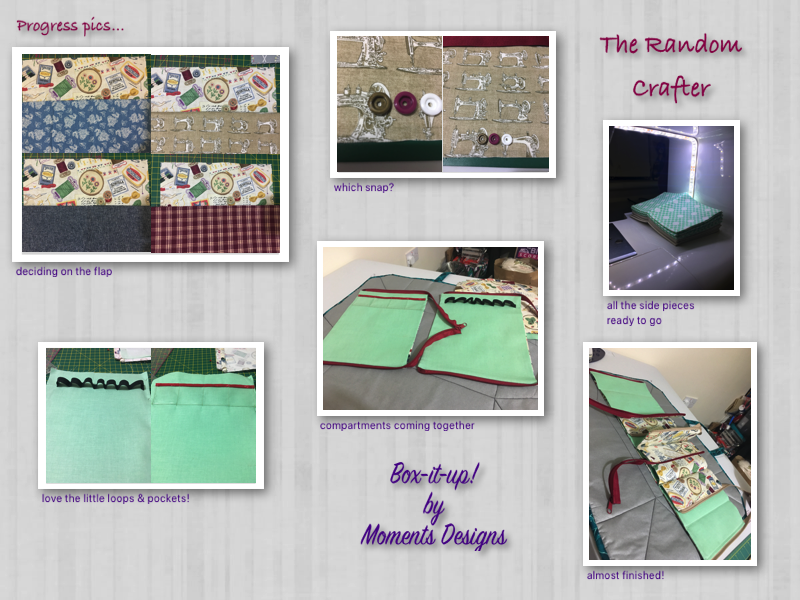 I am in love with the latest pattern by Moments Designs, Box-it-up! When I first saw this design, I was so excited and even more so when picked to test the pattern! 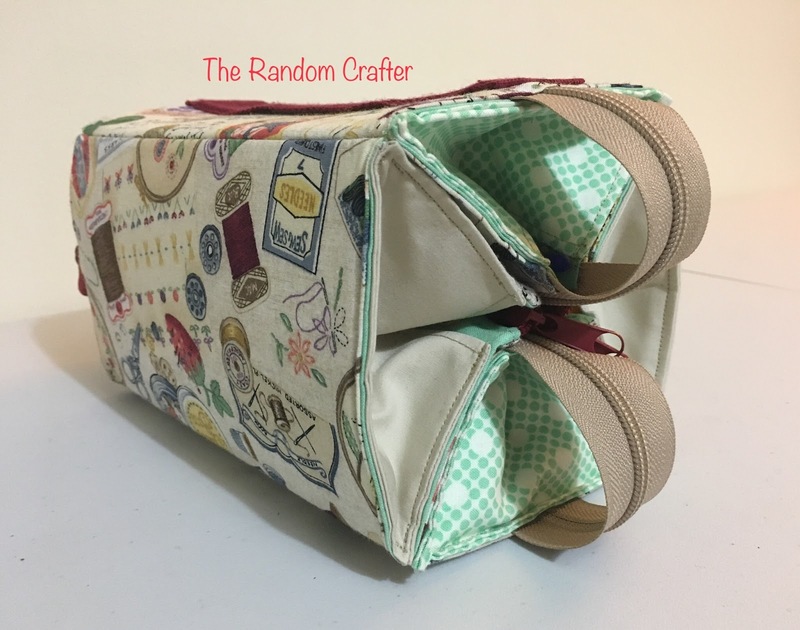 This kinda thing is right up my street and I love everything about it 😊 the only thing I did differently was I used a Kam snap on the flap instead of velcro as the only velcro I have is stick-on and is impossible to sew through. Knowing how much use I will get out of this, I didn’t think the velcro would last and stay in place for long. I think my favourite thing about this, is how much it holds! 😍 OMG! The amount of stuff it holds is amazing! I haven’t tried the small version yet, but even that one looks like it holds loads of stuff. I can just see these boxes (both sizes) being utilised in so many different ways. 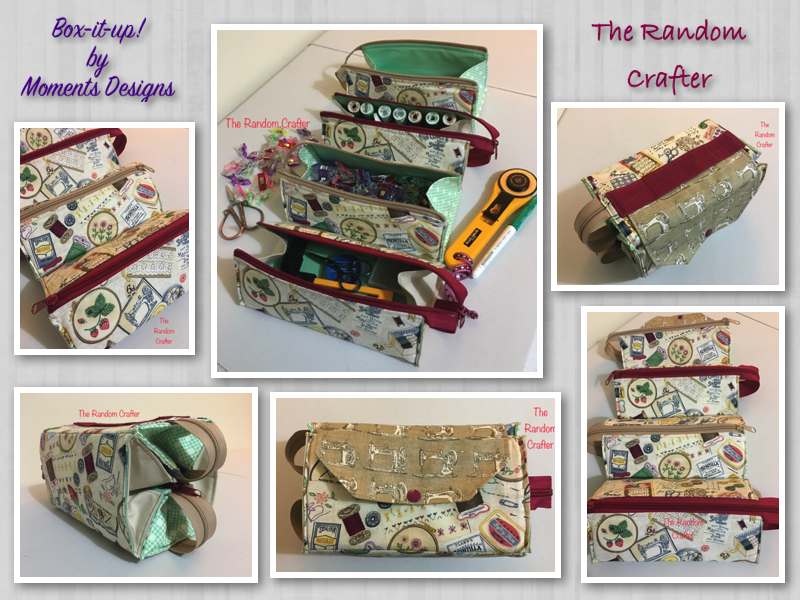 It can be a sewing caddy, a toiletry bag, a jewellery box, a make-up bag (those little elastic rings would be perfect for nail-varnishes or essential oils, the possibilities are endless! ), an artists tool-box, it really is so versatile! I love hearing about what you’ve been up to, leave me a comment!